Nights haven’t been the easiest with Jaxon, as he goes through different phases. Sometimes he’ll sleep for a stretch of 6-8 hours, but then others he’ll wake at least 4 times in the night just for a cuddle or for milk. Anything I can do to prevent this and keep him comfortable and less likely to wake up, I’m willing to try. 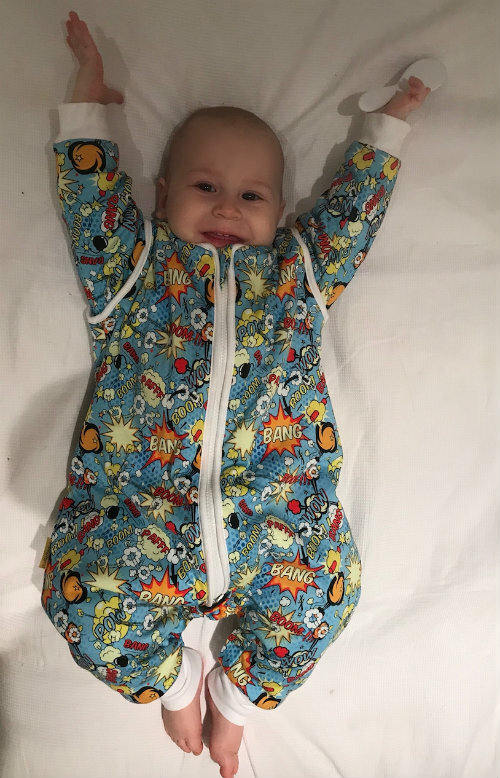 So when the opportunity came to test out the SnuggleBoo sleepsuit, I couldn’t turn it down. What’s Jaxon’s usual bedtime routine? We start winding down at around 6pm. I bath Jaxon, read him a story, give him milk and then try to settle him to bed. Bathtime and storytime is our favourite part of the day, I just love how he loves me to read to him. I’ll wrap him in his favourite fluffy blanket and he usually goes off to sleep soundly. He’ll sleep solidly until 9pm, but then he’ll start waking up and wriggling around. As the night progresses he moves around and ends up in an uncomfortable heap with the blanket in a ball underneath him. 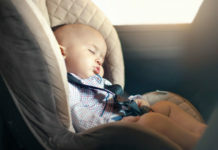 Have you ever tried a baby sleep bag or sleepsuit before? I tried a sleepbag for a little while but Jaxon just didn’t seem to get on with it. He likes to move around in the night. It was then that I found out about the SnuggleBoo sleepsuit. 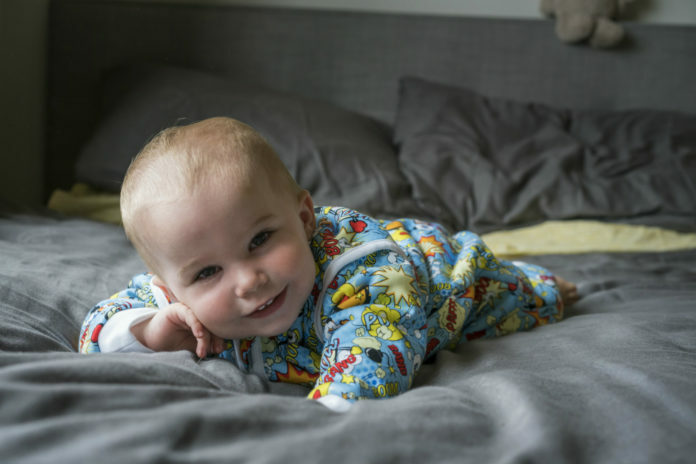 What are the benefits of the SnuggleBoo sleepsuit? I loved the idea that it would feel like a sleepbag, but Jaxon could have his feet free to move about. It’s organic cotton so has a super soft, snuggly feel to it. He feels secure and cosy inside it and doesn’t miss having his fluffy blanket. The SnuggleBoo is made from premium organic cotton which is such a bonus, it’s gorgeously soft on his skin. The printed side is cotton and the inner lining is 100% cotton. The first time I put it on Jaxon he instantly curled into a ball and snuggled into it, it was so cute! Then he sat up all comfy & cosy ready to read his night time stories. Instant winner! He loved it straight away. 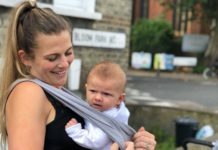 What makes the SnuggleBoo stand out from other sleepsuits? One of the features I really like are the poppers on the shoulders so you can detach the sleeves easily if needs be. We are coming into (slightly) warmer weather now, so it’s nice to have the option to remove them to prevent Jaxon from getting too hot at night. There are poppers for easy nappy access too, so it’s not any fuss to change if needed in the night or early morning. There are a few designs to choose from but the one Jaxon has is the Superhero design which is very fitting seeing as though his nickname is Action Jaxon! Have you noticed a change in Jaxon’s sleep routine? So far, it’s been a great success! No blanket heaped in a ball underneath him in the middle of the night, no getting uncomfortable or too hot and, all in all, some very sound nights sleep. 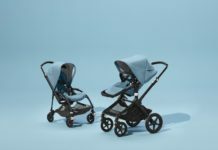 I would highly recommend the SnuggleBoo for a chance at sound nights sleep, for both of you and baby.